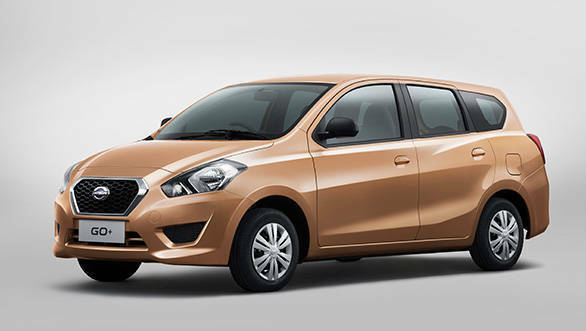 Details of the GO+ MPV, the second car based on the Datsun GO platform, are emerging closer to its expected Auto Expo 2014 unveil. 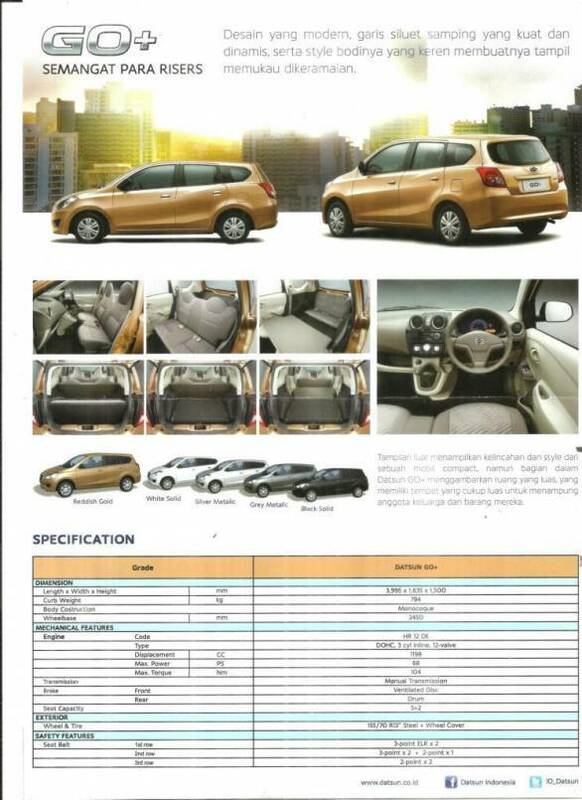 Datsun Indonesia uploaded a brochure of the MPV on its twitter account @ID_Datsun. The GO+ will use Nissan's 1.2-litre three-cylinder petrol which will make 68PS of power and 104Nm of peak torque. It will be paired to a 5-speed manual transmission. The kerb weight of 794kg makes it one of the lightest MPVs when it goes on sale in India. The length of the car is 3995mm which, along with the 1.2-litre engine, just about qualifies it for excise duty benefits that come with being in the sub-4m bracket. This will allow Datsun to price it very competitively in a cut-throat MPV segment in India currently dominated by the likes of Maruti Ertiga and Mahindra Quanto. The GO+ will ride on 13-inch steel wheels, with no option of alloys. The front brakes are ventilated discs while the rear ones are drums. Datsun will be offering the GO+ in five colour options. We expect the company to price the GO+ from around Rs five lakh. It will be manufactured at the company's Oragadam facility in Chennai. Sales of the MPV in India are expected to start post the Auto Expo 2014.